Hi everyone! 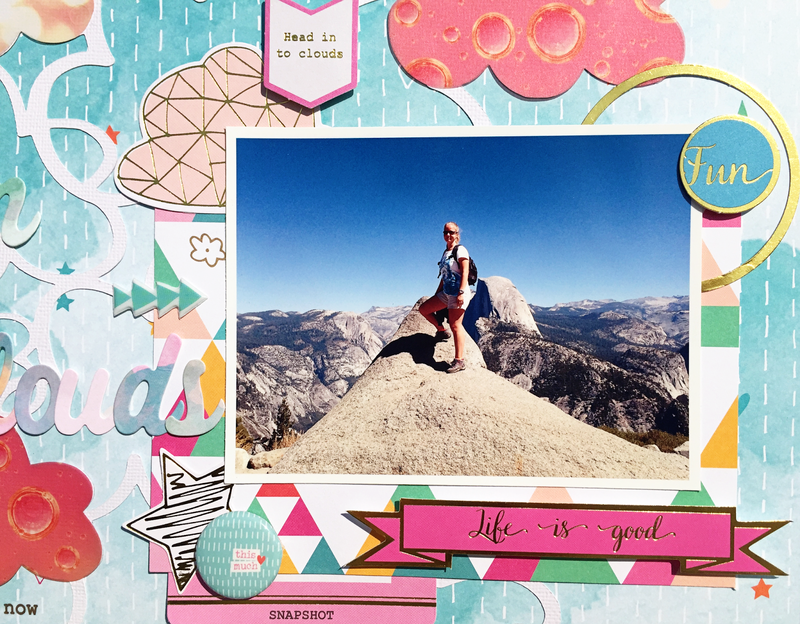 Today I have a layout to share for Clique Kits with the April kit. 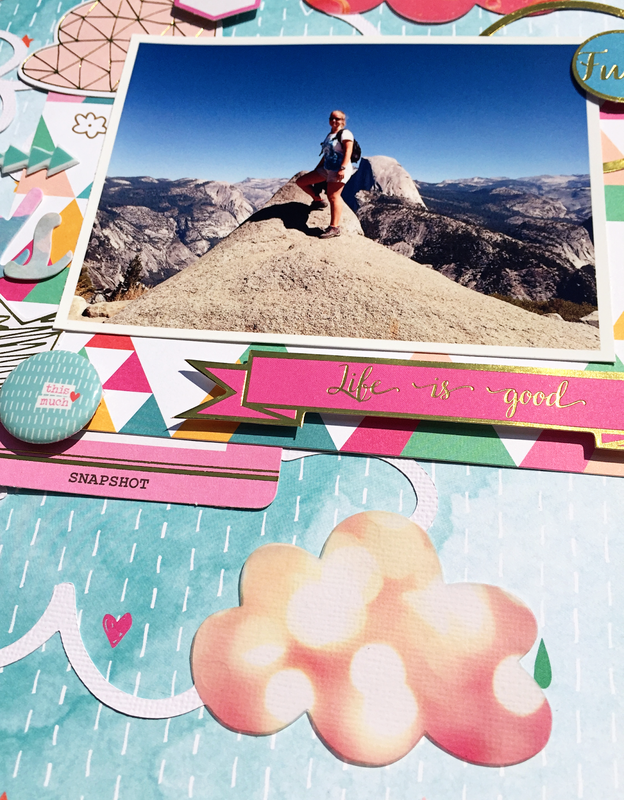 When I got my hands on this kit and saw all the pretty colors and designs of the Pinkfresh Studio Up in the Clouds collection, I just knew I had to make a layout with this picture and the clouds cutfile that came with this kit. This picture is taken in Yosemite National Park. Over on the Clique Kits blog you can find a step by step how I used this cutfile, together with some vellum from Webster's Pages Beautiful Chic. What an amazing photo! I want to go there! 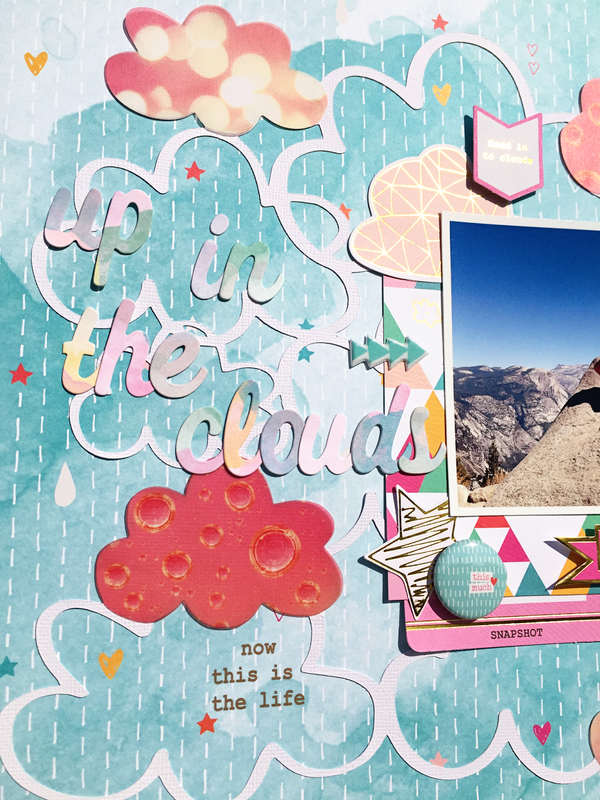 Great use of the Pinkfresh Danielle, and I love those fun clouds! !